TOOELE, UT – AUGUST 23rd, 2014: More than 90 teams registered for the Discount Tire American Rocksports Challenge at Miller Motorsports Park. With double the car count from 2013, the racing was some of the tightest and most intense of the 2014 ULTRA4 season to date. After a fierce battle in the main among 4 former Kings; Campbell, Healy, Scherer and Miller, it was Healy who climbed to the top of the podium for his 2nd consecutive ULTRA4 win. 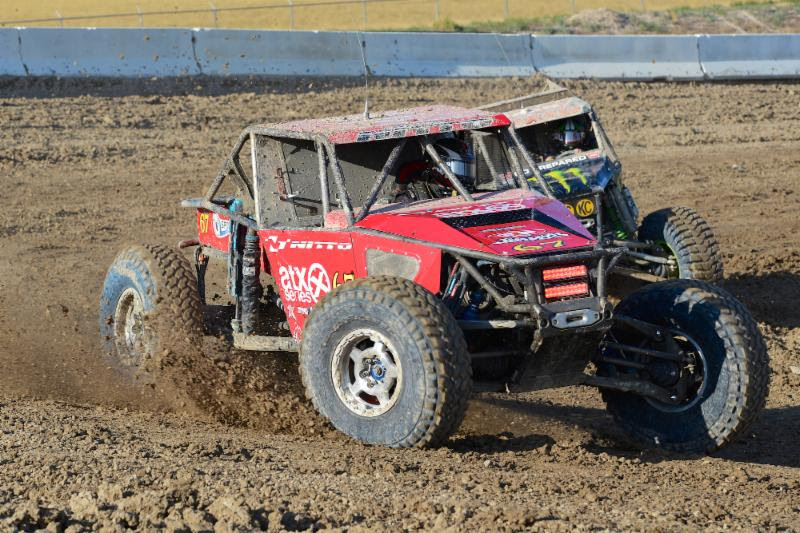 Fellow Nitto Tire drivers, Jason Scherer and Erik Miller took 2nd and 3rd place respectively for a Nitto Tire podium sweep at the Trail-Gear ULTRA4 Western Regional finale. Saturday morning’s prelims proved challenging for all classes with a muddy short course and slick rock obstacles due to heavy thunderstorms on Friday night. Shannon Campbell had the fastest qualifying time on Friday followed by Jason Scherer and Loren Healy respectively. All three drivers had pole position in Saturday morning’s three prelims for the 4400s. The top 7 drivers from each prelim made it into the Main event, and the remaining drivers competed in a B Main with the top four drivers from the B Main also earning spots in the Main race for a field of 25 drivers for the 4400 Main event.